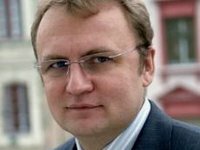 It would be not easy to work after the extraordinary parliamentary election in the Verkhovna Rada, Lviv Mayor and parliamentary candidate on the list of Samopomich Union and the leader of the party Andriy Sadovy has said. "It would be not easy to work during this parliament convocation, but I think that Samopomich dishes it out to many, and it will be interesting and constructive cooperation," he told reporters after casting his ballot in Lviv on Sunday. He said that the election is not in line with the expectations people had, as they are being held using the old system. Sadovy believes that the future parliament should quickly make decisions which should have been made a long time ago. He said that local election should be held next spring. Sadovy supports the drastic cut of the number of lawmakers of local councils.